Email marketing, when done correctly, has the potential to not only boost your profits with a potential ROI of 4,400%, but to build ongoing, trusted relationships with your customers. However, it’s important that your emails are relevant, informative, and nonintrusive. Send out too many emails, or ones that contain irrelevant information, and you could land yourself in your recipients’ spam folders. It’s crucial you carefully consider your email marketing strategy from the offset, so you’re constantly engaging your recipients. 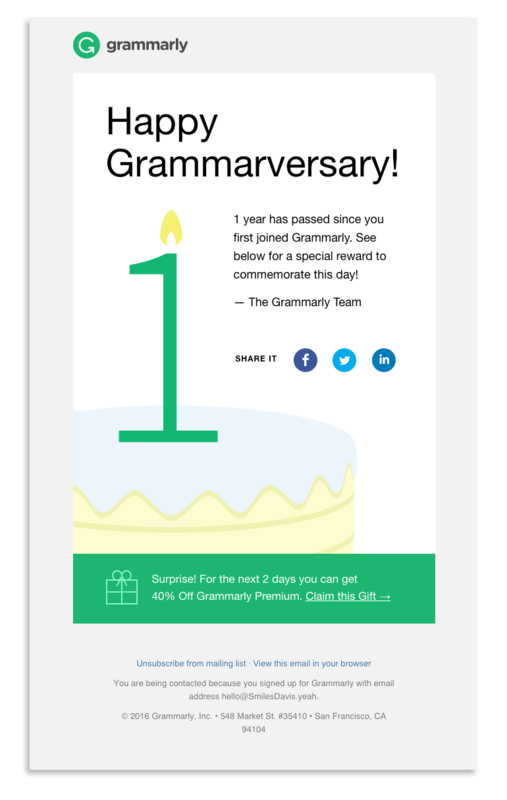 These 19 best practice examples will help you plan every outgoing email. Before we dive into email marketing planning best practices, download this email marketing strategy template. 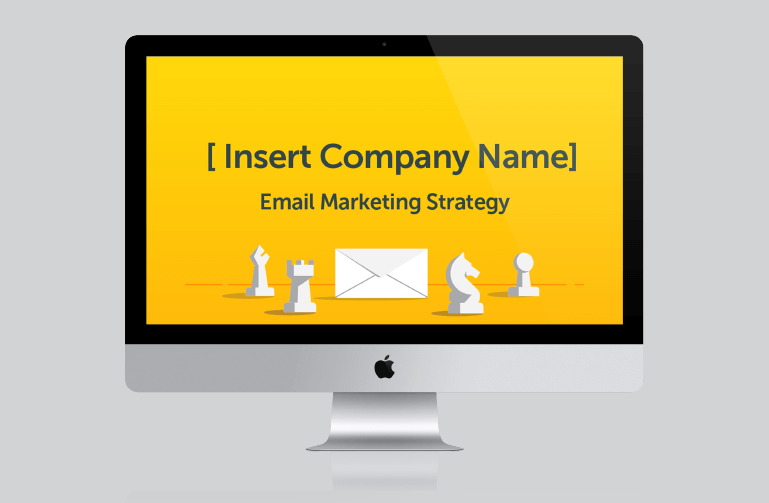 This template will help you plan and organize your email marketing strategy and give the rest of your email team something to refer back to when they have questions. 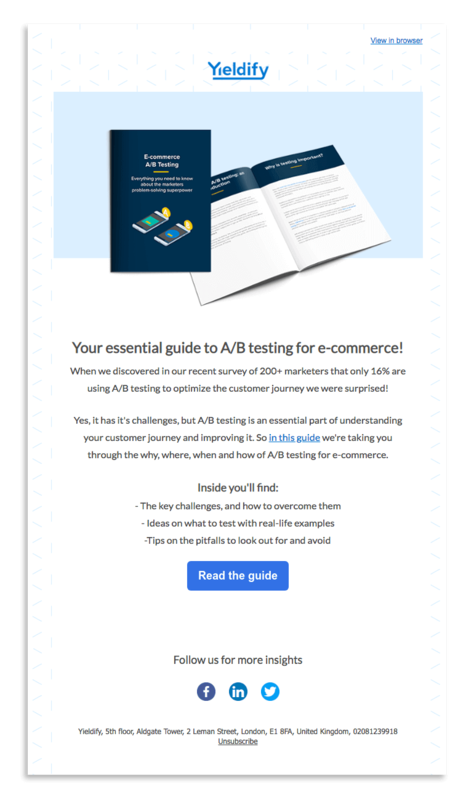 Now, let's dig into the best practice examples you can employ so you’re soon producing standout emails. First, you need to know who the target of your email campaign is, then you can start putting together a strategy that will help you reach them. Start by setting goals for your email marketing campaigns so you can put all the right metrics and tracking in place to constantly monitor the effectiveness of each email. Grow your subscriber list — No email marketing campaign will be successful without a healthy subscriber list. Therefore, you’ll want to make growing your subscriber list is an ongoing goal, checking your progress bi-yearly or yearly, especially since an average email database depletes by 22.5% each year. Read on for more examples. Increase your open rate — Higher open rates mean increased opportunities to turn your subscribers into customers or brand advocates. Play around with the Subject Line Tester to ensure that your emails have the best chance to get opened. You can test things like subject line length, emoji use, and word choice to craft the best subject line. Improve your click-through rate — If you have a high open rate, but customers aren’t going any further through your sales funnel, your goal should be to boost your click-through rate so you can generate more ROI. This means ensuring you’re sending valuable, relevant information at all times and always have a clear call-to-action. Retaining customers and transforming them into advocates for your brand — If you’re happy with your open and click-through rates, your goal should be to keep both old and new customers engaged while sharing your company with family and friends. You can do this by sending targeted and exclusive offers and by featuring customer testimonials and user-generated content (e.g. social posts or feedback). It may be tempting to run a contest through one of your social media accounts in order to bulk up your subscriber list, these new subscribers probably won’t do much for your ROI. 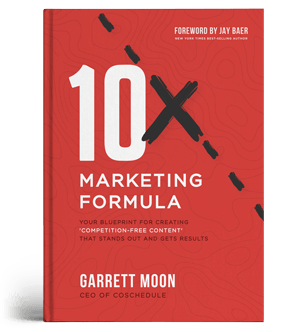 While using a contest as an incentive to get people to subscribe to your list will definitely bring in more contacts, they probably won’t be the most engaged. Most of them will only stick around long enough to see if they won, and will either unsubscribe immediately or send all your emails to the trash or, worse, mark them as spam. Instead, work on gathering as may high-quality subscribers as you can. A high-quality subscriber can be a returning customer, a new lead, or a brand advocate. So don’t limit yourself to thinking of your subscribers as returning customers. 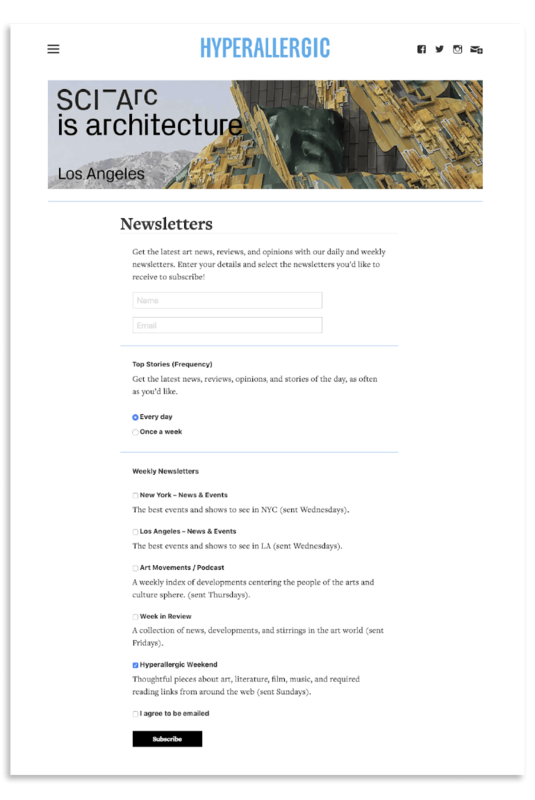 Add a pop-up form on your website. Make it as easy as possible for people to sign up to your emails, removing as many obstacles as you can. Most email service providers offer integrations that make it easy to include sign up form on your site. 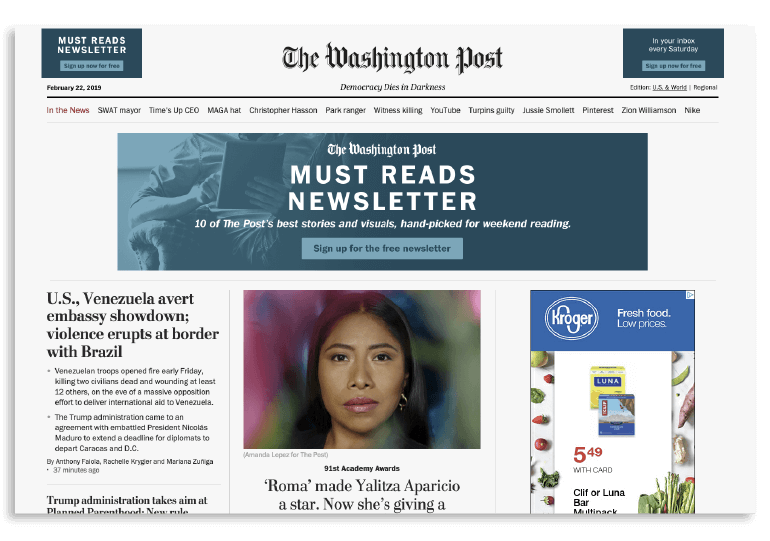 For example, The Washington Post offers its readers multiple options to sign up to one of their newsletters, the Must Reads newsletter. Offer a quick link that allows readers to share your email with like-minded friends. When you consistently offer compelling and relevant information, your subscribers will be more likely to share your email and recommend your emails, ultimately driving sign-ups. Offer incentives for signups. Give something in return for someone’s email address by offering discounts or freebies for customers who sign up. For example, you could give them a free download of an eBook. On the other hand, this email from Yieldify offers a detailed guide that can be a valuable resource for customers in the B2B space. Don’t assume that incentives only work for B2C companies. Instead, get creative to find high-value resources—like research or guides like that from Yieldify—you can offer as an incentive. 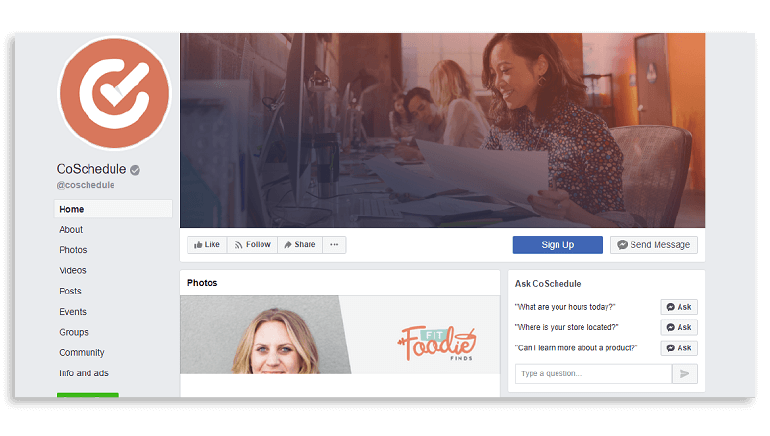 Add a call-to-action button on Facebook. This will appear at the top of your company’s page on Facebook. Be transparent with your privacy and anti-spam policies. When you’re asking for their email address (e.g. in a sign-up form or on a pop-up page on your website), make it clear that you won’t give their email address to third-parties, and tell them up front how many emails they can expect from you, i.e. one per week. 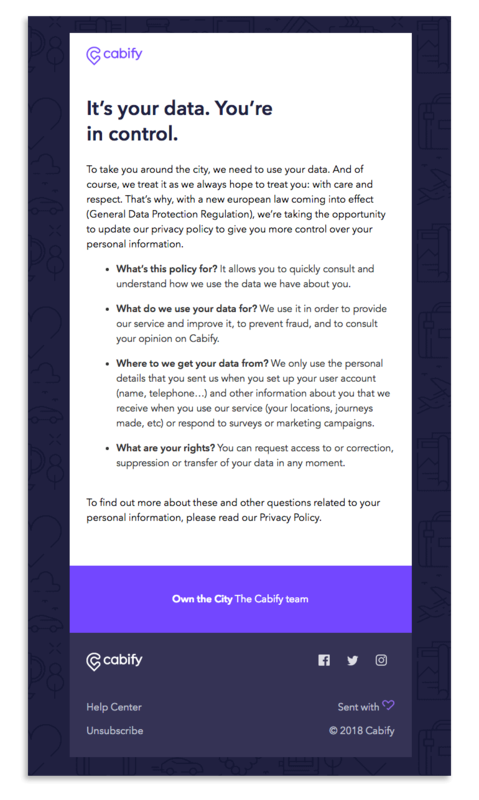 In this example from Cabify, the user’s data is front and center. The company gives all the information their subscribers could want. Cabify focuses on keeping their data collection and usage transparent. 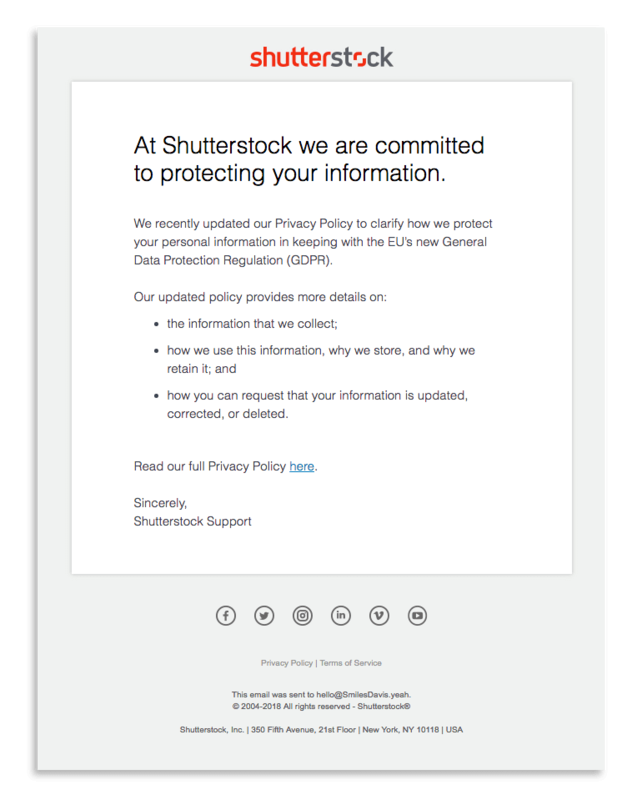 Remember, with the recent GDPR laws, it’s imperative you gain a prospect’s permission before you start sending things to their email address. This also gives you peace of mind that these recipients want to receive your email and are, therefore, more likely to engage with the content. After creating your goals and building your list, you now need to target your customers based on their demographics and interests by utilizing segmentation. This will boost your open rates and ROI because you’re sending the most relevant emails to each customer. Think about your own inbox: Are you more likely to engage with an email that contains information you’re interested in or an email that seems superfluous? You can segment based on your subscriber demographics (e.g. age, job, and gender) by asking for this information in your email opt-in form. Choose 1-3 demographics that are most relevant to your business. For example, gender will be essential if you’re a clothing retailer. Segmentation might sound like a lot of extra work, but most email service providers make segmenting your subscriber list easy. You can also create one email and use dynamic content—content that changes depending on which contact receives the email—to send highly targeted emails without much effort. 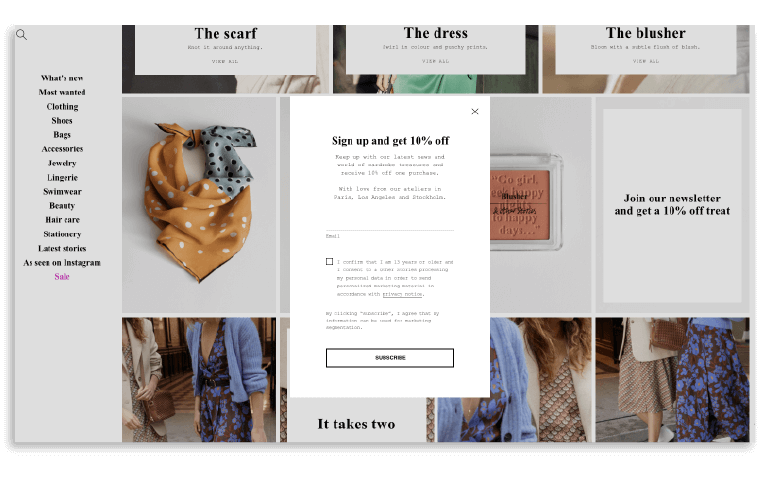 You can also segment by behavior, such as your subscribers’ previous purchases, their position in the sales funnel, amount spent previously, interests, time since previous purchase, and their level of engagement with your emails. An email campaign based on behavior allows you to speak specifically to your customer and show them you’re paying attention. For example, segmented based on behavior allows you to maintain an engaged list in order to make your marketing dollars go farther. You can send a re-engagement campaign to subscribers who haven’t opened or acted on your emails in a while, asking them to get involved. For example, when looking at the time since each customers’ last purchase, you can segment based on frequent and one-time buyers. Offer promotional deals, plan upgrades, upsell products, or promote new products or services to the former. 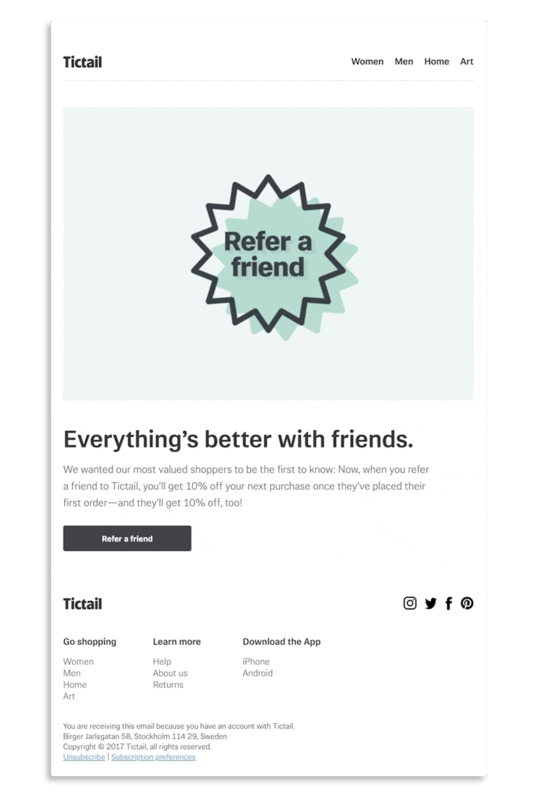 And entice the latter with personalized discounts based on their original purchase, reminders to repurchase/renew, and highlight your company’s benefits (e.g. with customer reviews). 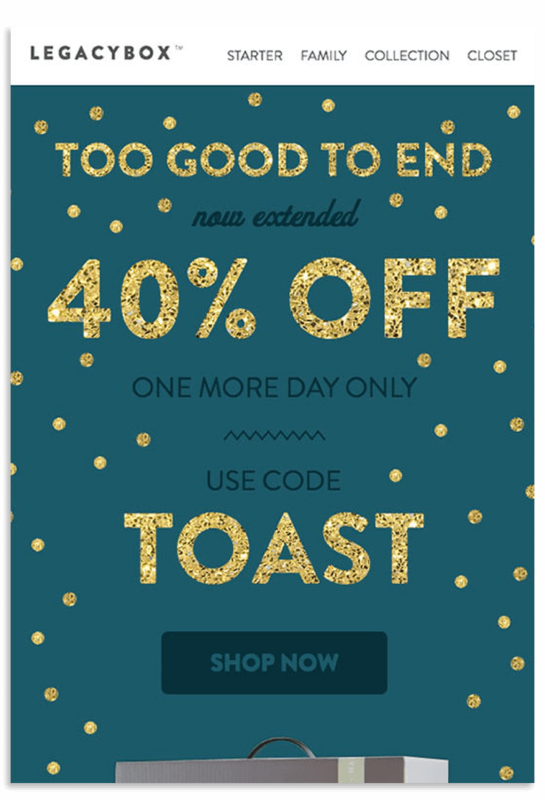 Promotional emails that pertain to specific products, sales, and offers. Relational emails that build loyalty and trust. 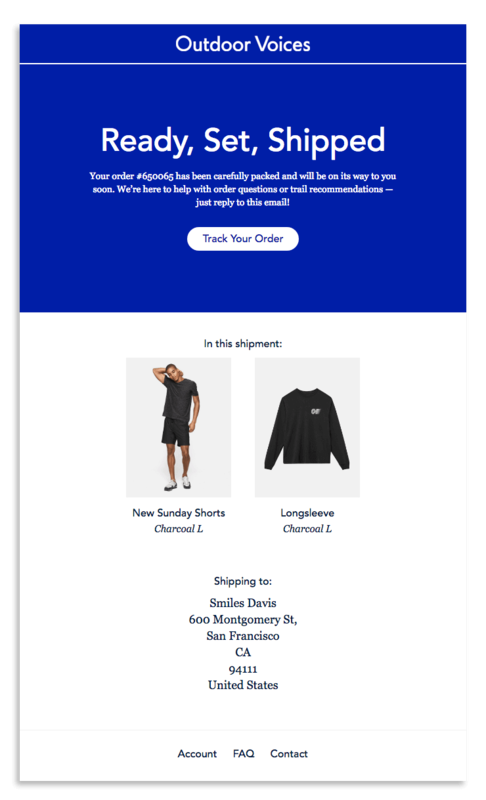 Transactional emails such as welcome messages, signup confirmations, purchase confirmations, and notifications of any changes to their information. 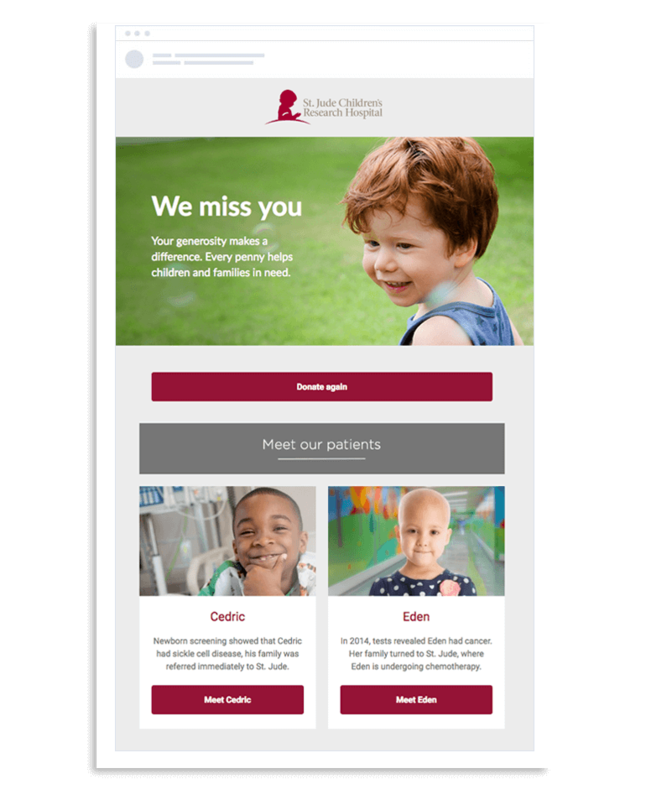 It’s easy to overlook the value in transactional emails because you have to send them to keep your subscribers in the loop, but there are plenty of ways you can maximize transactional emails since these get some of the best open rates. A mixture of emails is the perfect way to continue engaging with your customers. 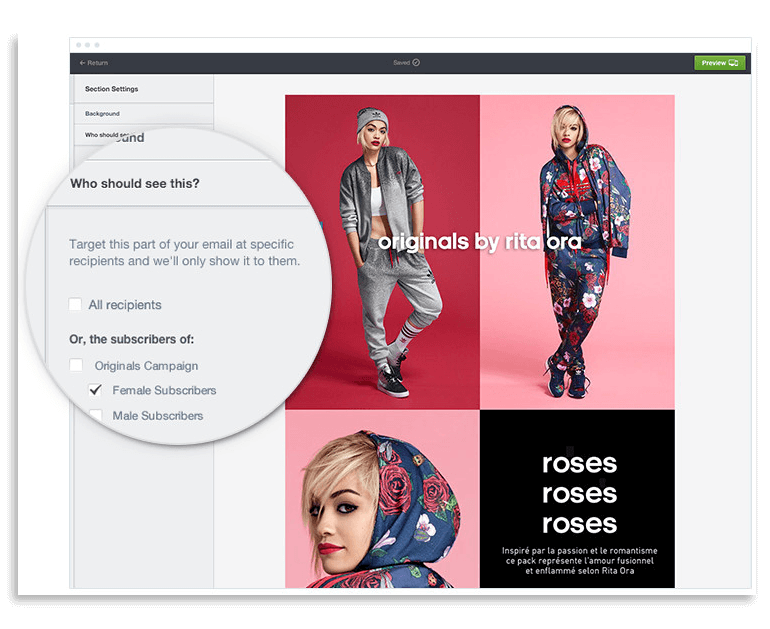 Simply use the segmentation from step 3 to send the most relevant emails to each customer and automate as many of these as possible (not sure how to automate your emails? Step 5 has you covered!). However, to ensure you’re not inundating your customers with emails, you’ll need to plan them well in advance. Create a spreadsheet of your planned emails, noting the date, type of email, an idea of what it will contain, and what your main call-to-action (CTA) will be (i.e. 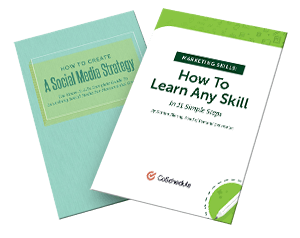 – asking them to follow you on social media, download some information, or buy a product). For example, you may send a promotional email the week you’re running a sale and a relational email the week after to give customers more information about their product or ask for their feedback. Asking your customers how many emails they’d like to receive when they signup to your emails. When readers subscribe to Hyperallergic’s newsletter, they get to determine their own frequency and their own interests right from the start. That way, subscribers always get the most relevant emails. Checking your email stats to see how high your open and unsubscribe rate are. If the former decreases and the latter increases, this indicates you need to change your email frequency. Keeping an eye on your engagement rates. If they’re low, you may get more engagement by upping or lowering your email frequency. For example, if you’re sending an email each week but are struggling for content, you may get more engagement from bi-monthly emails that are more informative and relevant. As we’ve already mentioned, it’s imperative you’re providing your customers with the right message at the right time. That’s why you’ll find it highly beneficial to use automated emails that are triggered by a certain action your subscriber takes, without requiring any extra effort from your team. In fact, automated emails result in open rates that are 70.5% higher and click-through rates that are 152% higher, compared to standard emails. You can set up an automated program by connecting your email service provider, such as Campaign Monitor, with your site management tools. This will help you connect your customers’ behavior with a specific follow-up email. For instance, when a customer browses a specific category on your website, e.g. holidays to New York, you know they’re interested in this specific location so can send a relevant email. Create a welcome series — A customer who has signed up for your emails clearly wants to know more about your brand. Engage them with a set of automated emails that introduce your company, set expectations about your emails (i.e. frequency and content), and even add an option for customers to let you know what they’d prefer. Set up automated triggers — Autoresponders are often sent when someone makes a purchase, downloads an eBook, or contacts customer services with a query. These emails provide them with more information pertaining to their action, thus nurturing your relationship with them. Deliver re-engagement campaigns — You can also use automated emails for re-engagement. This could mean getting in touch with a customer who you hasn’t engaged with you for a while, or you might want to offer a discount for someone’s birthday. Now you’re armed with these email marketing planning best practices, you can start putting your own campaign into place. Taking into account industry trends and the unique qualities of your company, you can craft something that truly stands out from the crowd. Then, as you move forward with your campaign, you can use those key metrics to adjust and tweak individual aspects of your emails to make them even more successful. Lane Harbin is the Director of Content and Corporate Marketing at Campaign Monitor. 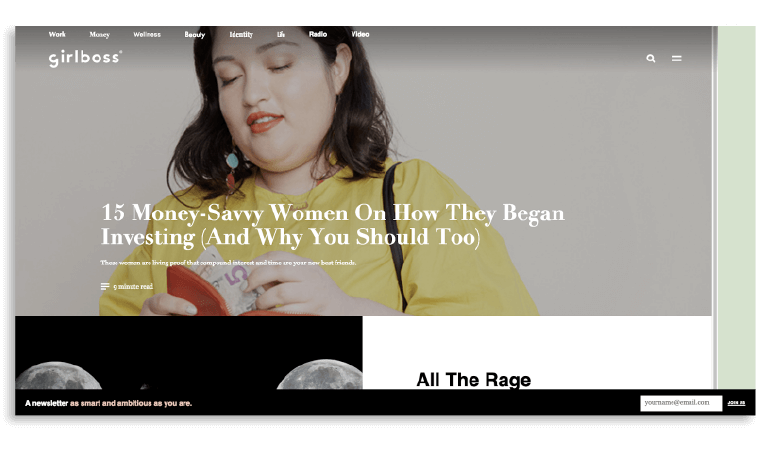 When she’s not geeking out over email marketing, she enjoys binge-listening to podcasts, catching up on the latest tech news, and constantly rearranging her living room.